About 2 weeks ago my husband announced that he was going vegan. This is the man who once declared that he didn't get to the top of the food chain to eat vegetables. However, following a serious health scare last year he's been much more health concious and I want to be supportive of any positive lifestyle changes. 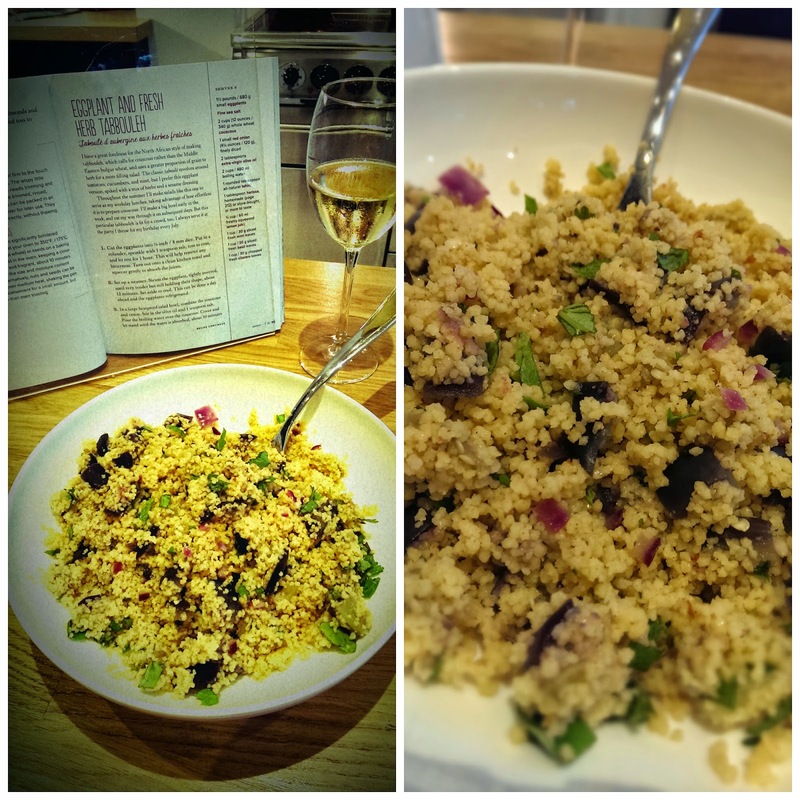 The next day I spent a good few hours researching vegan recipes, devising a meal plan and putting in an on-line food order. Meanwhile I managed to whip up a vegan swede & coconut dahl from the contents of my freezer and cupboards for that night's dinner. I presented the dahl to my husband when he arrived home from work (how very 50s housewife!) which he greatly enjoyed and was chuffed when I told him that I had a week's worth of healthy vegan meals lined up for us. I then asked him what he'd had for his lunch. His answer? Chicken Kiev. At this point I realised that more gentle introduction into animal-produce-free eating might be more practical so I headed over to Amazon to find myself a new vegetarian cook book (any excuse to get a new cookery book!). I was drawn towards "The French Market Cookbook: Vegetarian recipes from my Parisian Kitchen" by Clotilde Dusoulier (from the fabulous foodie blog Chocolate & Zucchini) as the blurb said that the recipes "do not rely heavily on the cheese, cream and pastas that often overpopulate vegetarian recipes". This really appealed to me as I always thought that if I ate less meat I'd just end up eating loads of cheese instead!! I struggle with lunches - I just want something quick and easy but also healthy, so I tend to batch cook soup and freeze it in individual portions to whip out when I'm hungry. 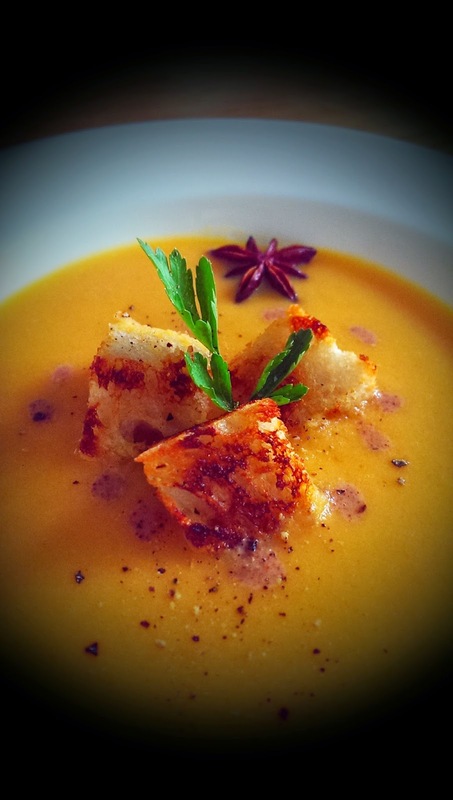 I thought that the Softly Spiced Carrot and Almond Soup would be perfect for this so I dusted off my blender and set about knocking up a vat. As with all of the recipes I've trialled so far this was really easy, and while I usually go slightly "off-recipe" when I'm cooking I find it's usually a good idea when trying out a new book to follow a few recipes to the letter so you can get a feel for how things work (level of seasoning etc). For me the difference between home-cooking and restaurant quality food is the level of seasoning - just a few extra twist of the salt & pepper cellar can make all the difference. I have the terrible habit of not tasting the food I'm cooking before I season it and usually go to town with the seasoning (luckily I've had very few bad experiences so far), however I resisted the lure of the condiment cupboard whilst making this soup and I found that the seasoning was spot on. I've also found this to be the case in all of the other recipes I've made so I would strongly suggest that you taste before adding any additional salt or pepper to any of the dishes in this book. Anyway, back to the soup. 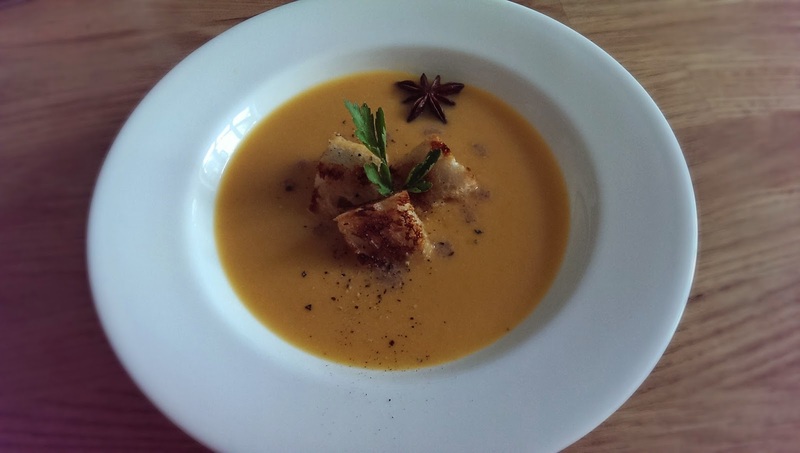 Its a really quite unusual mix of flavours for a savoury dish - I don't think I've ever put vanilla in a soup before! It was tasty and a good consistency (I was worried that it was going to be too runny when I added the almond milk), although I'm not sure that I was over keen on the vanilla and therefore if I do make this again I'll probably leave that out. As you can see I made some chunky croutons to have with my soup. These are really simple to make - just cube up some leftover bread (I used sourdough), rub a cut garlic clove over the bread, put a scraping of butter on each side of the cubes and then fry gently in a non-stick pan (no extra oil or butter needed) until all sides are a lovely golden colour. The croutons with be crunchy on the outside and lovely and soft in the middle! Again, one of the reasons that I was drawn to the Eggplant (aubergine) and Fresh Herb Tabbouleh was that Ms. Desoulier promised that it kept well and would be good for lunches later in the week. She was half right - Mr. Forcella took such a liking to this dish that he took the leftovers to work the next day for his lunch! I'll make more next time... Speaking of which, next time I think I might add a couple of spoonfuls of pomegranate seeds as I like a little bit of sweetness with my cous cous. I made my own version of the Leeks Vinaigrette for a quick late supper and it was the perfect satisfying light meal. 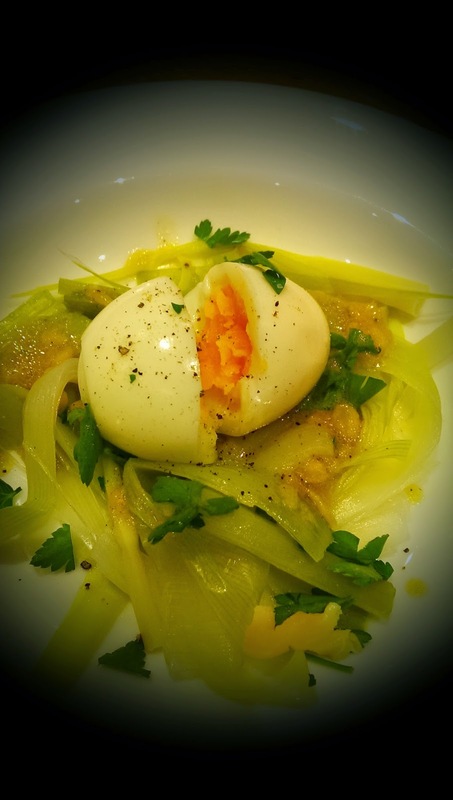 I served the leeks hot (the recipe tells you to let them cool) and with a whole soft boiled egg each rather than than with hard boiled egg "sprinkles". I think that this dish (served either way) would also make a great dinner party starter. 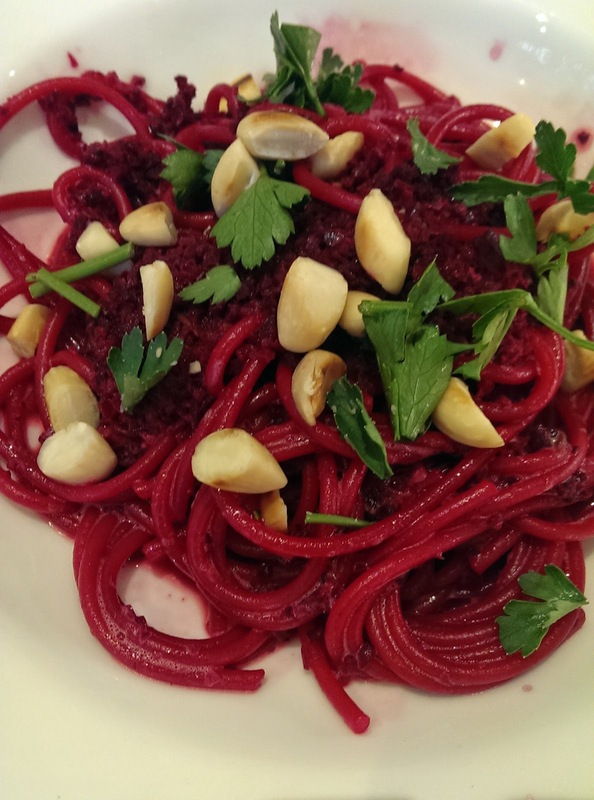 Who could resist trying out a recipe called "Shocking Pink Pasta"? Not me. I discovered beetroot last year when I bought Gwyneth Paltrow's cook book It's All Good but usually have it in salads. This recipe was ridiculously easy to make and really quite stunning to look at. It was also pretty tasty, however of all the dishes I've made so far I'd say that this is the one I'm least likely to make again. 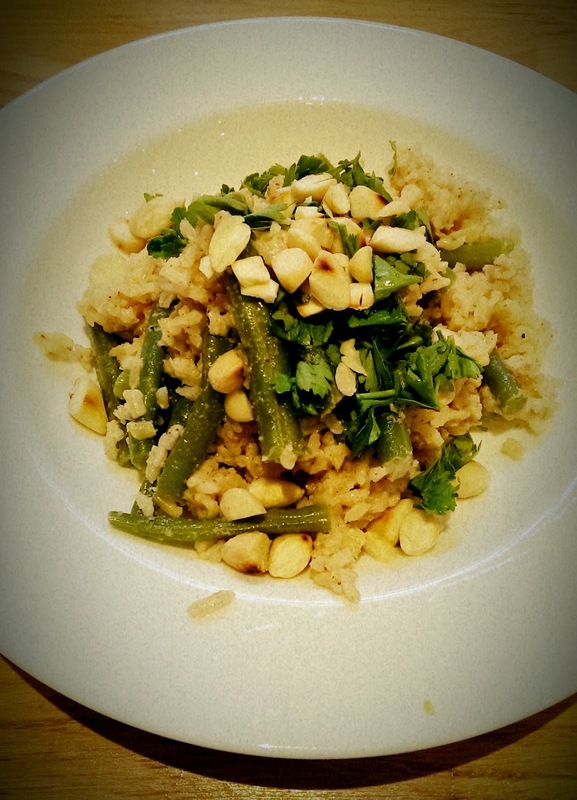 Last night's dinner was the Green Bean, Red Rice and Almond Salad. 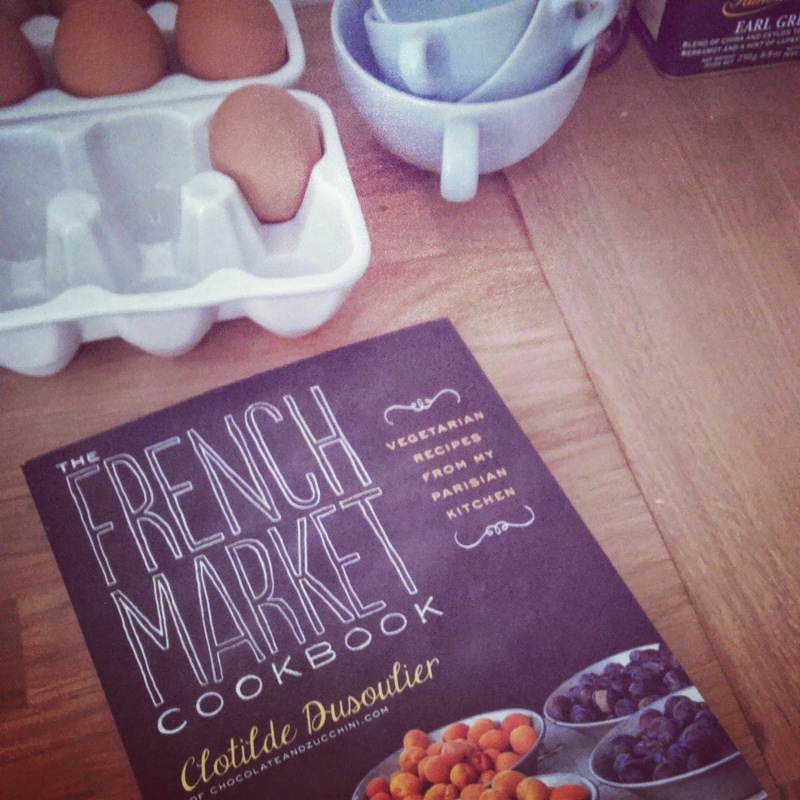 One of the things I like about this book is that if you read through the recipes Clotilde often suggests alternatives to ingredients which may be more difficult to find. In this case I couldn't get hold of any red rice (although I have since discovered that the shop at the end of my road sells it...) so I used the brown rice I had in my kitchen cupboard instead. When I made the almond butter, cider vinegar (I used white wine vinegar) and olive oil dressing for this recipe I thought I might be digging out a curry from the freezer for dinner as it smelt quite strange, however as I'd already made everything else I continued and boy, am I glad I did. This dish probably looks the most unappetising of all of the meals I've made this week, but without doubt it is the tastiest. Neither me nor the Mr. could get enough of the nutty, savoury yumminess. Highly recommended!! 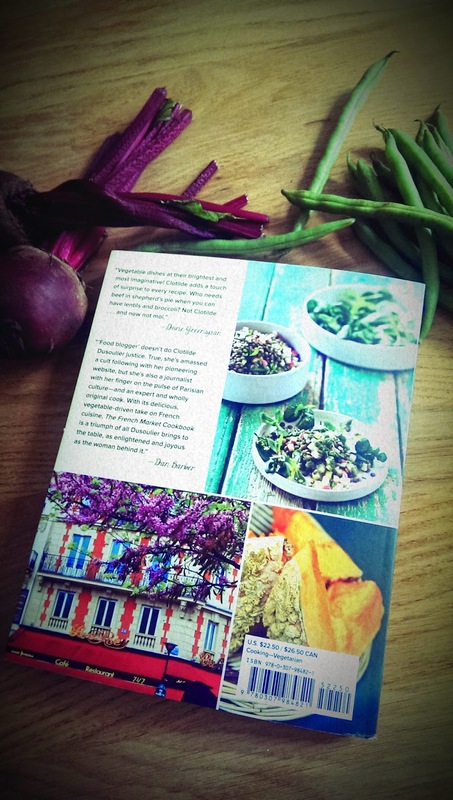 The recipes in this book are ordered seasonally and while I tried to cook only from "l'ete" section, I did stray in to "le printemps" for the soup and "l'automne" for the leeks and beetroot pasta. I'm really excited about some of the other autumn and winter recipes and I think I'll do another post on these later in the year. 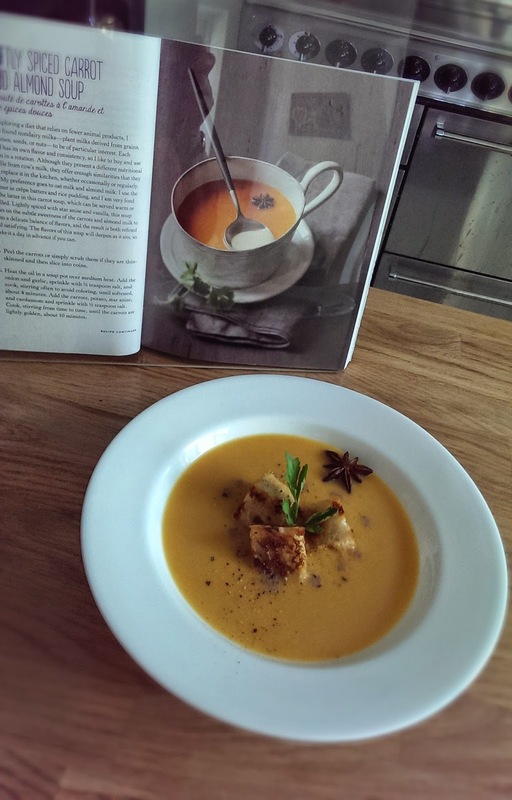 Thank you so much for the review and feedback on the recipes, Rachel, I am stoked you are enjoying the book! Hi Clotilde, I'm glad you liked the review. It's a really great book - I bought another one straight away for one of my friends!! My dad calls him "Hugh Un-wittingly-ate-it-all"!! I have got my eye on that book. Ago hasn't changed at all - last year he had to re-buy my Easter chocolates TWICE!!! That chicken kiev bit made me laugh! I can't ever imagine Kingsley turning vegetarian, let alone vegan! If we have a meal with no meat in it, he looks at it, picks at it and then just to confirm his suspicions, he'll ask, 'What type of meat is in this?'. He even gets a bit funny about stuff with pancetta/bacon, because apparently, it's not enough meat! Ago's gone from "I'm old enough not to have to eat my greens" to complaining if there's not enough vegetables / salad on his plate - men, they're just big children really!!! !